With over 30 years of experience building and renovating kitchens in Rockville, Bethesda, Chevy Chase, Potomac, Silver Spring, Olney, Gaithersburg, Derwood, North Potomac, and throughout Montgomery County, and Washington, D.C., Kitchen & Bath Depot is your one-stop remodeling shop. Our simple kitchen remodel process makes it so easy to transform the kitchen you have into the kitchen you want. Whether you want to freshen up your kitchen’s look, create a new kitchen layout that works better for your family, or create a stunning kitchen addition, we’re here to help you make it happen. When you’re ready for a new kitchen, come on in for a meeting with a kitchen designer. We have excellent designers, with years of experience and superior design skills. During your free consultation, they’ll ask you questions and look at any pictures or sketches you may have in order to get an understanding of your vision for your new kitchen. This is where you can let your imagination run wild and discuss all of the possibilities for your dream kitchen remodel. Using this information, our talented team of designers will develop a preliminary design that is based on your style preferences and preliminary budget. 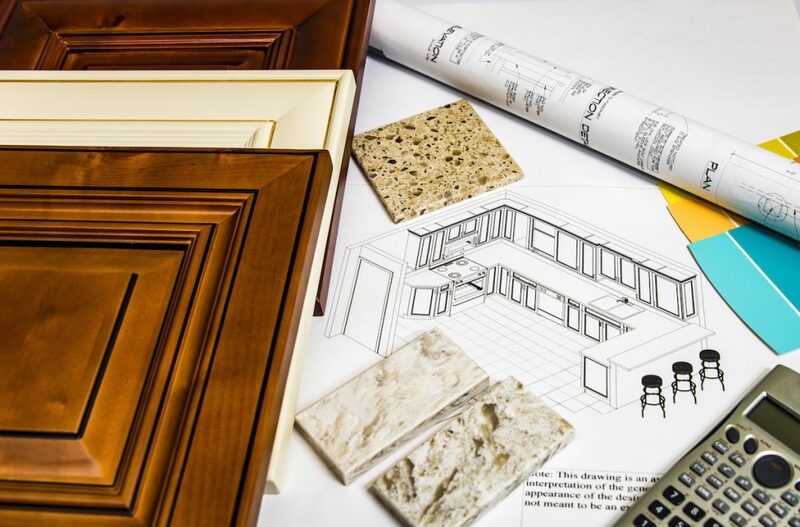 As part of this process, a member of our team will travel to your home and take detailed measurements, which will become vital during the installation portion of your kitchen remodel! We believe in a collaborative design process so that we can be sure you’ll be pleased with your final kitchen, and we’ll work closely with you throughout this phase to rework the design until you’re completely satisfied. We’ll create a set of plans and elevations and submit them for review and once we verify that everything will fit your budget and the design has met your approval, you can then begin to choose your kitchen products and then we’ll move into the kitchen construction phase. We’re truly committed to creating a kitchen remodel that you’ll truly fall in love with, which is why communication is so important to us. Throughout the entire design and planning phase, we’ll collaborate with you to ensure that you’re comfortable with both the budget and the scope of the work and we’ll never begin construction until you’re fully satisfied with every detail of your upcoming renovation. Check out our Inspiration Gallery or follow us on Houzz to see some of the amazing kitchens we’ve created for homeowners just like you.